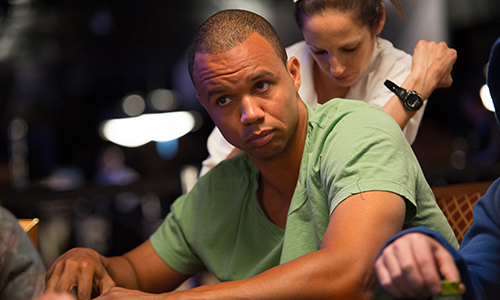 The legal battle between pro poker player and gambler Phil Ivey and the parent company of Atlantic City’s Borgata Hotel Casino & Spa, Marina District Development Co., LLC, rolls on, with counsel for the Borgata now seeking permission from the New Jersey District Court that rendered a $10.1 million judgment in the Borgata’s favor to allow the casino to register that judgment in Nevada. The purpose of the motion to docket that judgment in Nevada is to identify and possibly attach assets of Ivey and co-defendant Cheung Yin “Kelly” Sun to satisfy the value of the $10.1 million appellate bond (the value of the judgment) as Ivey’s and Sun’s appeal of that judgment moves forward. The motion to docket the judgment into Nevada’s legal system was filed on Tuesday, October 9, 2018. In the motion, counsel for the Borgata asserted that the motion was proper under established appellate principle since Ivey, at the least, is known to have significant assets in another state (Nevada) while having few or no assets in New Jersey. The Borgata successfully identified one New Jersey-based Wells Fargo bank account belonging to Ivey, but was notified by the bank after a writ of execution that the account has a zero-dollar balance. There may be many more assets owned in whole or part by Ivey. The motion mentions a property in Mexico believed to be owned by Ivey, offering: “Ivey has also disclosed a luxury home in Cabo San Lucas, MX on his social media account. It is possible that one of Ivey’s Nevada entities is the ultimate owner of this home.” Exhibits attached to the motion include pictures of Ivey at the seaside home in Cabo taken from a 2013 feature on an affiliate blog. One image shows Ivey lounging in a hammock at the front of the oversized, stone-wrought villa, while other images included Ivey posing with his private chef, and also looking out upon the property’s pool and oceanside view. The motion also reasserts previous claims that Ivey’s total worth has been publicly valued at approximately $100 million. The motion to expand the search for assets to Nevada, where both Ivey and Sun are residents, was a virtual certainty in the case given recent developments. Last month, presiding US District Judge Noel L. Hillman denied a motion on behalf of Ivey and Sun that sought to let the pair’s appeal in the case move forward without posting the appellate bond (technically called a supersedeas bond). Such a bond is usually required to ensure compliance with the initial ruling, but can be waived under unusual hardship circumstances. Ivey and Sun sought to claim such a hardship in their motion to stay that bond. As of yet, according to the latest Borgata filing, Ivey and Sun have not posted the $10.13 million in connection with the appeal they filed several weeks ago. The Borgata waited until a 14-day period allowing for the posting of the supersedeas bond had expired. 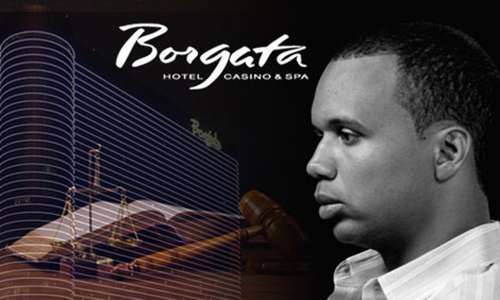 It is expected that Judge Hillman will quickly rule in the Borgata’s favor in this matter, and that the New Jersey casino will then expand its search in Nevada to identify other assets belonging to Ivey and Sun. The Borgata will certainly protest any formal actions being taken in the appeal until such time as the bond is posted in full by Ivey and Sun. Counter sue for defamation …and maybe all the Birgitta losers should sue for losses due to like un disclosed casino advantages …class action …gambling is gambling …both sides …this is bogus borgitta.